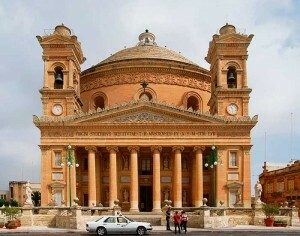 It is estimated that 84% of the world’s population are adherents to some form of organised religion. In certain countries of the world it is a crime, punishable by death, to renounce that societies officially recognised religion. In Western cultures Christianity, of one kind or another, is the popular choice for those who have a need to worship a deity. Based upon a book supposedly written by approximately 40 contributors about 2,000 years ago, Christianity is a religion based on the life and teachings of Jesus Christ, the books main character. Christianity’s devotees, usually indoctrinated into its teachings from birth, accept it unquestionably, and bestow upon these teachings complete control over their lives. All that is required is blind faith. 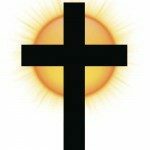 However, what you are about to read in this article, reveals historical facts and incontrovertible data that will completely annihilate the myth of Christianity and the majority of religions. Those readers who profess to be “Christian”, either stop reading now, or prepare to have your “faith” tested to its limit……. The following is a transcript of an award winning, but little known documentary ‘Zeitgeist the movie’. Thousands of hours of investigation and research have culminated in the explosive piece you are about to read. Credit is due to this films creator, Peter Joseph, his researchers, and his writers. This is the sun. As far back as 10 thousand B.C.E., history is abundant with carvings and writings reflecting people’s respect and adoration for this object. And it is simple to understand why as every morning the sun would rise, bringing vision, warmth, and security, saving man from the cold, blind, predator-filled darkness of night. Without it, the cultures understood, the crops would not grow, and life on the planet would not survive. These realities made the sun the most adored object of all time. Likewise, they were also very aware of the stars. The tracking of the stars allowed them to recognise and anticipate events which occurred over long periods of time, such as eclipses and full moons. They in turn catalogued celestial groups into what we know today as constellations. 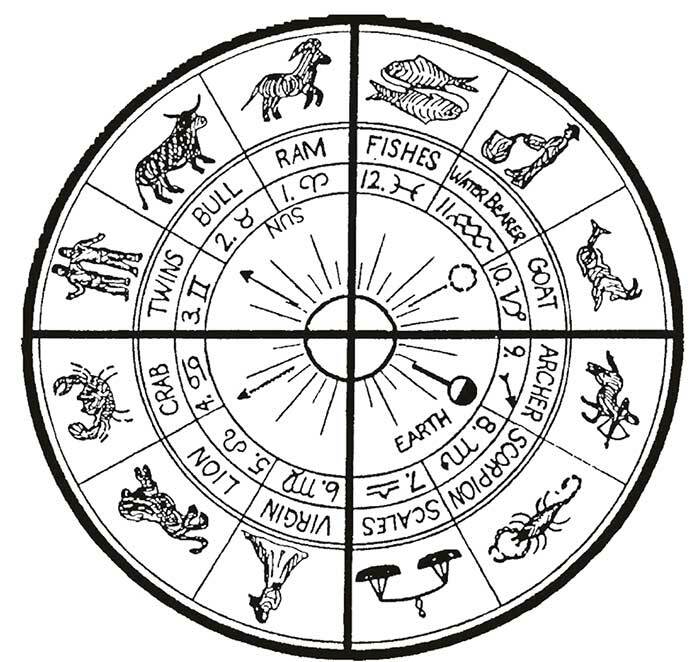 This is the cross of the Zodiac, one of the oldest conceptual images in human history. It reflects the sun as it figuratively passes through the 12 major constellations over the course of a year. It also reflects the 12 months of the year, the 4 seasons, and the solstices and equinoxes. The term Zodiac relates to the fact that constellations were anthropomorphised, or personified, as figures, or animals. In other words, the early civilisations did not just follow the sun and stars, they personified them with elaborate myths involving their movements and relationships. The sun, with its life giving and saving qualities was personified as a representative of the unseen creator or god… “God’s Sun”, the light of the world, the saviour of human kind. Likewise, the 12 constellations represented places of travel for God’s Sun and were identified by names, usually representing elements of nature that happened during that period of time. For example, Aquarius, the water bearer, who brings the spring rains. This is Horus. He is the Sun God of Egypt of around 3000 BC . 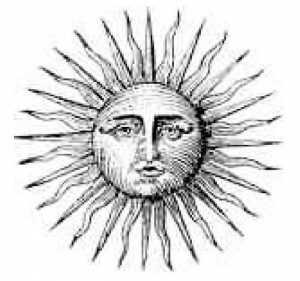 He is the sun, anthropomorphised, and his life is a series of allegorical myths involving the sun’s movement in the sky. From the ancient hieroglyphics in Egypt, we know much about this solar messiah. 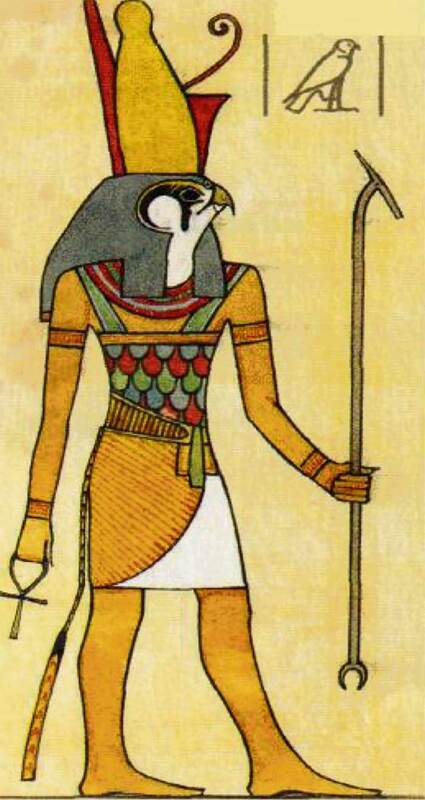 For instance, Horus, being the sun, or the light, had an enemy known as Set, and Set was the personification of the darkness or night. And, metaphorically speaking, every morning Horus would win the battle against Set – while in the evening, Set would conquer Horus and send him into the underworld. It is important to note that “dark vs. light” or “good vs. evil” is one of the most ubiquitous mythological dualities ever known and is still expressed on many levels to this day. The story of Horus is as follows: Horus was born on December 25th of the virgin Isis-Meri. His birth was accompanied by a star in the east, which in turn, three kings followed to locate and adorn the new born saviour. At the age of 12, he was a prodigal child teacher, and at the age of 30 he was baptized by a figure known as Anup and thus began his ministry. Horus had 12 disciples he travelled about with, performing miracles such as healing the sick and walking on water. Horus was known by many gestural names such as The Truth, The Light, God’s Anointed Son, The Good Shepherd, The Lamb of God, and many others. After being betrayed by Typhon, Horus was crucified, buried for 3 days, and thus, resurrected. Krishna, of India, born of the virgin Devaki with a star in the east signalling his coming, performed miracles with his disciples, and upon his death was resurrected. Dionysus of Greece, born of a virgin on December 25th, was a travelling teacher who performed miracles such as turning water into wine, he was referred to as the “King of Kings,” “God’s Only Begotten Son,” “The Alpha and Omega,” and many others, and upon his death, he was resurrected. Mithra, of Persia, born of a virgin on December 25th, he had 12 disciples and performed miracles, and upon his death was buried for 3 days and thus resurrected. He was also referred to as “The Truth,” “The Light,” and many others. Interestingly, the sacred day of worship of Mithra was Sunday. The fact of the matter is there are numerous saviours, from different periods, from all over the world, which subscribe to these general characteristics. The question remains: why these attributes, why the virgin birth on December 25th, why dead for three days and the inevitable resurrection, why 12 disciples or followers? To find out, let’s examine the most recent of the solar messiahs. Jesus Christ was born of the virgin Mary on December 25th in Bethlehem, his birth was announced by a star in the east, which three kings or magi followed to locate and adorn the new saviour. He was a child teacher at 12, at the age of 30 he was baptised by John the Baptist, and thus began his ministry. Jesus had 12 disciples which he travelled about with performing miracles such as healing the sick, walking on water, raising the dead, he was also known as the “King of Kings,” the “Son of God,” the “Light of the World,” the “Alpha and Omega,” the “Lamb of God,” and many others. After being betrayed by his disciple Judas and sold for 30 pieces of silver, he was crucified, placed in a tomb and after 3 days was resurrected and ascended into Heaven. First of all, the birth sequence is completely astrological. The star in the east is Sirius, the brightest star in the night sky, which on the night of December 24th, aligns with the 3 brightest stars in Orion’s Belt. These 3 bright stars are called today what they were called in ancient times: The Three Kings. 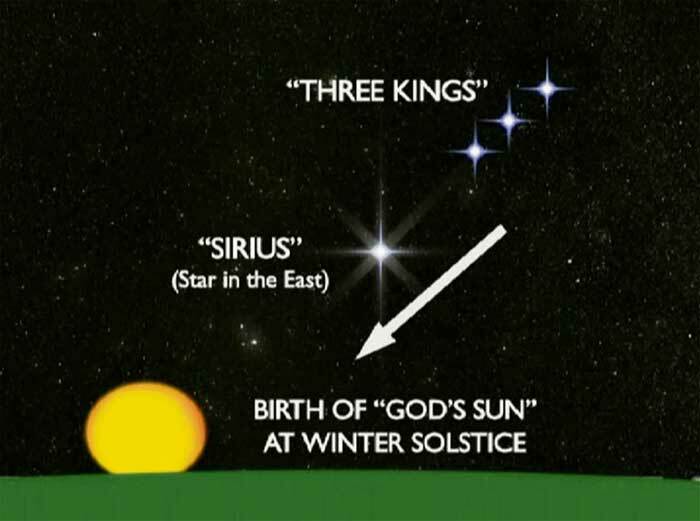 The Three Kings and the brightest star, Sirius, all point to the place of the sunrise on December 25th. This is why the Three Kings “follow” the star in the east, in order to locate the sunrise – the birth of the sun. The Virgin Mary is the constellation Virgo, also known as Virgo the Virgin. Virgo in Latin means virgin. 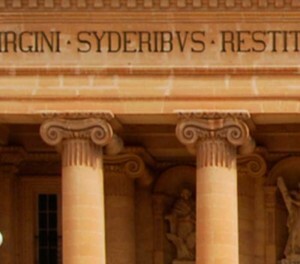 The ancient glyph for Virgo is the altered “m”. This is why Mary along with other virgin mothers, such as Adonis’s mother Myrrha, or Buddha’s mother Maya begin with an M.
Virgo is also referred to as the House of Bread , and the representation of Virgo is a virgin holding a sheaf of wheat. This House of Bread and its symbol of wheat represents August and September, the time of harvest. In turn, Bethlehem, in fact, literally translates to “house of bread”. Bethlehem is thus a reference to the constellation Virgo , a place in the sky, not on Earth. There is another very interesting phenomenon that occurs around December 25th, or the winter solstice. From the summer solstice to the winter solstice, the days become shorter and colder. From the perspective of the northern hemisphere, the sun appears to move south and get smaller and more scarce. The shortening of the days and the expiration of the crops when approaching the winter solstice symbolised the process of death to the ancients. It was the death of the Sun. By December 22nd, the Sun’s demise was fully realised, for the Sun, having moved south continually for 6 months, makes it to it’s lowest point in the sky. Here a curious thing occurs. The Sun stops moving south, at least perceivably, for 3 days. During this 3 day pause, the Sun resides in the vicinity of the Southern Cross, or Crux constellation. After this time on December 25th, the Sun moves 1 degree, this time north, foreshadowing longer days, warmth, and Spring. And thus it was said: the Sun died on the cross, was dead for 3 days, only to be resurrected or born again. This is why Jesus and numerous other Sun Gods share the crucifixion, 3 day death, and resurrection concept. It is the Sun’s transition period before it shifts its direction back into the Northern Hemisphere, bringing Spring, and thus salvation. However, the ancients did not celebrate the resurrection of the Sun until the spring equinox, or Easter. This is because at the spring equinox, the Sun officially overpowers the evil darkness, as daytime thereafter becomes longer in duration than night, and the revitalising conditions of spring emerge. 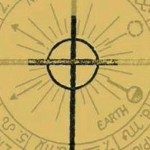 Coming back to the cross of the Zodiac, the figurative life of the Sun, this was not just an artistic expression or tool to track the Sun’s movements. It was also a Pagan spiritual symbol, the shorthand of which looked like this. 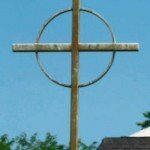 This is not a symbol of Christianity. 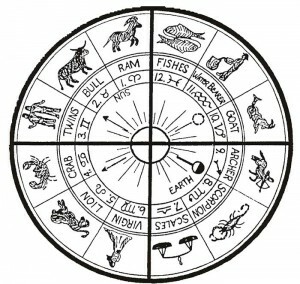 It is a Pagan adaptation of the cross of the Zodiac. 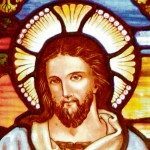 This is why Jesus in early occult art is always shown with his head on the cross, for Jesus is the Sun, the Sun of God, the Light of the World, the Risen Saviour, who will “come again,” as it does every morning, the Glory of God who defends against the works of darkness, as he is “born again” every morning, and can be seen “coming in the clouds,” “up in Heaven,” with his “Crown of Thorns,” or, sun rays. Now, of the many astrological astronomical metaphors in the Bible, one of the most important has to do with the ages. Throughout the scripture there are numerous references to the “Age.” In order to understand this, we need to be familiar with the phenomenon known as the precession of the equinoxes. The ancient Egyptians along with cultures long before them recognised that approximately every 2150 years the sunrise on the morning of the spring equinox would occur at a different sign of the Zodiac. This has to do with a slow angular wobble that the Earth maintains as it rotates on it’s axis. It is called a precession because the constellations go backwards, rather than through the normal yearly cycle. The amount of time that it takes for the precession to go through all 12 signs is roughly 25,765 years. This is also called the “Great Year,” and ancient societies were very aware of this. They referred to each 2150 year period as an “age.” From 4300 B.C. to 2150 B.C., it was the Age of Taurus, the Bull. From 2150 B.C. to 1 A.D., it was the Age of Aries, the Ram, and from 1 A.D. to 2150 A.D. it is the Age of Pisces, the age we are still in to this day, and in and around 2150, we will enter the new age: the Age of Aquarius. The Bible reflects, broadly speaking, a symbolic movement through 3 ages, while foreshadowing a 4th. 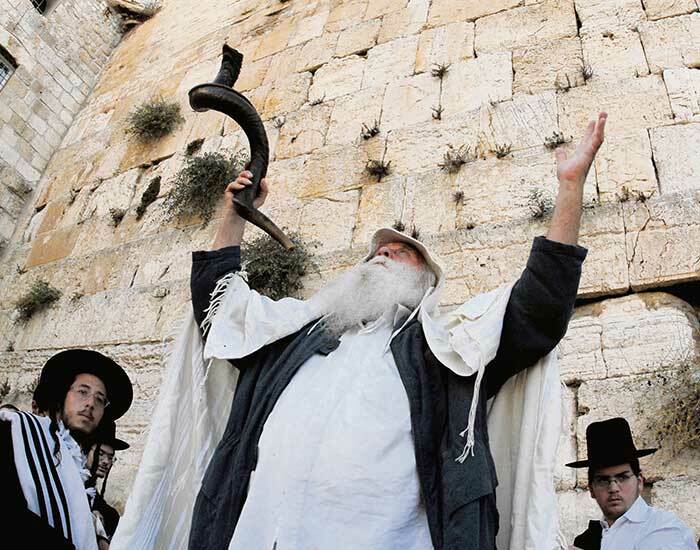 In the Old Testament when Moses comes down Mount Sinai with the 10 Commandments, he is very upset to see his people worshiping a golden bull calf. In fact, he shattered the stone tablets and instructed his people to kill each other in order to purify themselves. Most Biblical scholars would attribute this anger to the fact that the Israelites were worshiping a false idol, or something to that effect. The reality is that the golden bull is Taurus the Bull, and Moses represents the new Age of Aries the Ram. This is why Jews even today still blow the Ram’s horn. Moses represents the new Age of Aries, and upon the new age, everyone must shed the old age. Other deities mark these transitions as well, a pre-Christian god who kills the bull, in the same symbology. Take note of the pictures of the Mosta Dome in Malta. 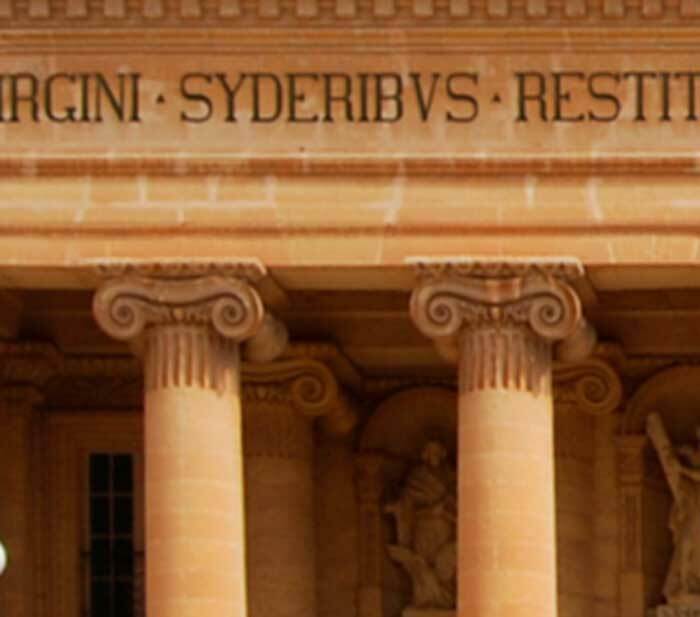 You may notice that on the top of the pillars (and numerous Churches and official buildings around the world) there is a Rams Horn on top of the pillar. 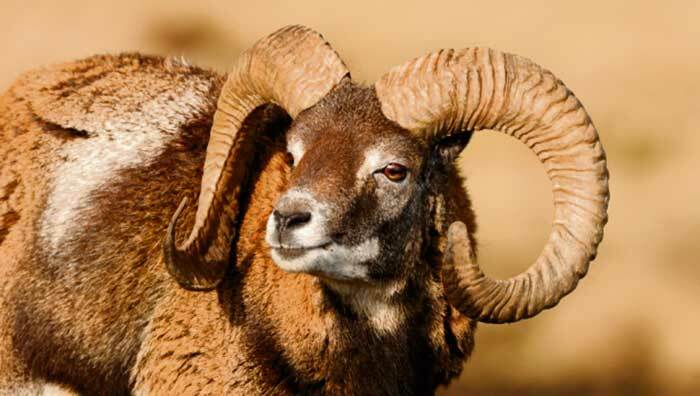 Symbolic of Aries the Ram. Jesus is the figure who ushers in the age following Aries, the Age of Pisces the Two Fish. 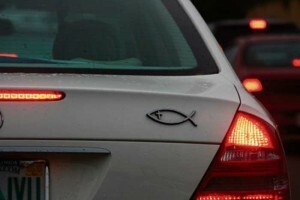 Fish symbolism is very abundant in the New Testament. Jesus feeds 5000 people with bread and “2 fish.” When he begins his ministry walking along Galilei, he befriends 2 fisherman, who follow him. And I think we’ve all seen the Jesus-fish on the backs of people’s cars. Little do they know what it actually means. 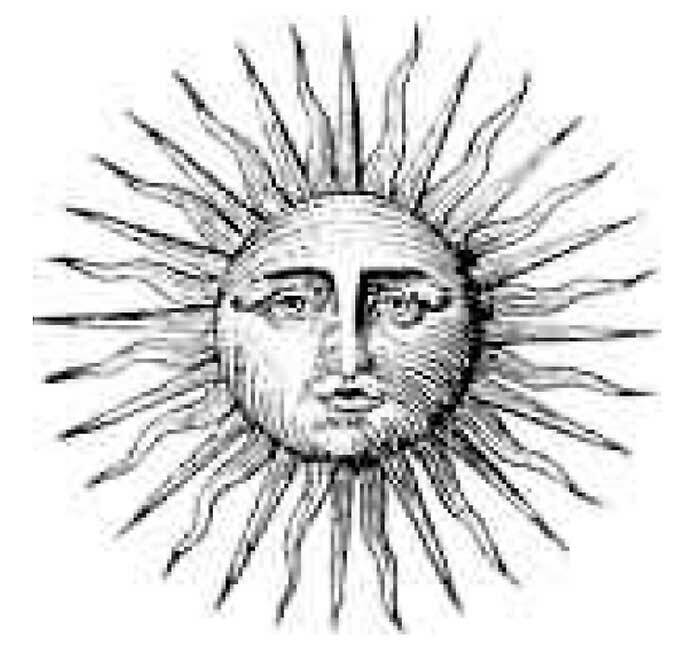 It is a Pagan astrological symbolism for the Sun’s Kingdom during the Age of Pisces. Also, Jesus’ assumed birth date is essentially the start of this age. At Luke 22:10 when Jesus is asked by his disciples where the next Passover will be, Jesus replied: “Behold, when ye are entered into the city, there shall a man meet you bearing a pitcher of water… follow him into the house where he entereth in.” This scripture is by far one of the most revealing of all the astrological references. 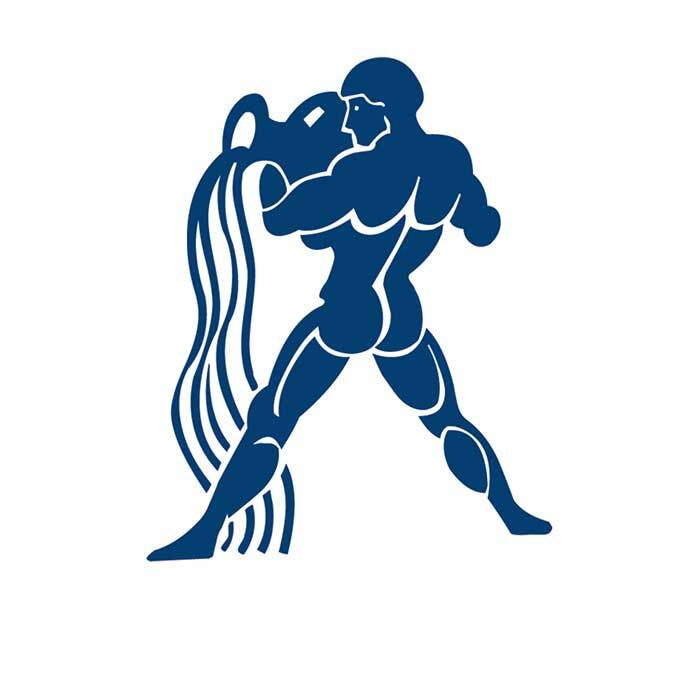 The man bearing a pitcher of water is Aquarius, the water-bearer, who is always pictured as a man pouring out a pitcher of water. He represents the age after Pisces, and when the Sun (God’s Sun) leaves the Age of Pisces (Jesus), it will go into the House of Aquarius, as Aquarius follows Pisces in the precession of the equinoxes. Also Jesus is saying that after the Age of Pisces will come the Age of Aquarius. We have all heard about the end times and the end of the world. Apart from the cartoonish depictions in the Book of Revelation, the main source of this idea comes from Matthew 28:20, where Jesus says “I will be with you even to the end of the world.” However, in the King James Version, “world” is a mistranslation, among many mistranslations. The actual word being used is “aeon”, which means “age.” “I will be with you even to the end of the age.” Which is true, as Jesus’ Solar Piscean personification will end when the Sun enters the Age of Aquarius. The entire concept of end times and the end of the world is a misinterpreted astrological allegory. Let’s tell that to the approximately 100 million people in America who believe the end of the world is coming. Furthermore, the character of Jesus, a literary and astrological hybrid, is most explicitly a plagiarisation of the Egyptian Sun-god Horus. For example, inscribed about 3500 years ago, on the walls of the Temple of Luxor in Egypt are images of the enunciation, the immaculate conception, the birth, and the adoration of Horus. The images begin with Thaw announcing to the virgin Isis that she will conceive Horus, then Nef the holy ghost impregnating the virgin, and then the virgin birth and the adoration. This is exactly the story of Jesus’ miracle conception. In fact, the literary similarities between the Egyptian religion and the Christian religion are staggering. And the plagiarism is continuous. The story of Noah and Noah’s Ark is taken directly from tradition. The concept of a Great Flood is ubiquitous throughout the ancient world, with over 200 different cited claims in different periods and times. However, one need look no further for a pre-Christian source than the Epic of Gilgamesh, written in 2600 B.C. This story talks of a Great Flood commanded by God, an Ark with saved animals upon it, and even the release and return of a dove, all held in common with the biblical story, among many other similarities. And then there is the plagiarised story of Moses. Upon Moses’ birth, it is said that he was placed in a reed basket and set adrift in a river in order to avoid infanticide. He was later rescued by a daughter of royalty and raised by her as a Prince. This baby in a basket story was lifted directly from the myth of Sargon of Akkad of around 2250 B.C. Sargon was born, placed in a reed basket in order to avoid infanticide, and set adrift in a river. He was in turn rescued and raised by Akki, a royal mid-wife. And as far as the Ten Commandments, they are taken outright from Spell 125 of the Egyptian Book of the Dead. What the Book of the Dead phrased “I have not stolen” became “Thou shall not steal,” “I have not killed” became “Thou shall not kill,” “I have not told lies” became “Thou shall not bear false witness” and so forth. In fact, the Egyptian religion is likely the primary foundational basis for the Judeo-Christian theology. Baptism, afterlife, final judgment, virgin birth and resurrection, crucifixion, the ark of the covenant, circumcision, saviours, holy communion, the great flood, Easter, Christmas Passover, and many many more, are all attributes of Egyptian ideas, long predating Christianity and Judaism. Justin Martyr, one of the first Christian historians and defenders, wrote: “When we say that he, Jesus Christ, our teacher, was produced without sexual union, was crucified and died, and rose again, and ascended into Heaven, we propound nothing different from what you believe regarding those who you esteem Sons of Jupiter.” In a different writing, Justin Martyr said “He was born of a virgin, accept this in common with what you believe of Perseus.” It’s obvious that Justin and other early Christians knew how similar Christianity was to the Pagan religions. However, Justin had a solution. As far as he was concerned, the Devil did it. The Devil had the foresight to come before Christ, and create these characteristics in the Pagan world. The Bible is nothing more than an astro-theological literary fold hybrid, just like nearly all religious myths before it. In fact, the aspect of transference, of one character’s attributes to a new character, can be found within the book itself. In the Old Testament there’s the story of Joseph. Joseph was a prototype for Jesus. Joseph was born of a miracle birth, Jesus was born of a miracle birth. Joseph was of 12 brothers, Jesus had 12 disciples. Joseph was sold for 20 pieces of silver, Jesus was sold for 30 pieces of silver. Brother “Judah” suggests the sale of Joseph, disciple “Judas” suggests the sale of Jesus. Joseph began his work at the age of 30, Jesus began his work at the age of 30. The parallels go on and on. 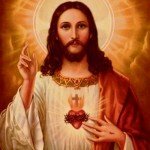 Furthermore, is there any non-Biblical historical evidence of any person, living with the name Jesus, the Son of Mary, who travelled about with 12 followers, healing people and the like? There are numerous historians who lived in and around the Mediterranean either during or soon after the assumed life of Jesus. How many of these historians document this figure? Not one. However, to be fair, that doesn’t mean defenders of the Historical Jesus haven’t claimed the contrary. Four historians are typically referenced to justify Jesus’ existence. Pliny the younger, Suetonius, Tacitus and the first three. Each one of their entries consists of only a few sentences at best and only refer to the Christus or the Christ, which in fact is not a name but a title. It means the “Anointed one” The fourth source is Josephus and this source has been proven to be a forgery for hundreds of years. Sadly, it is still cited as truth. You would think that a guy who rose from the dead and ascended into Heaven for all eyes to see, and performed the wealth of miracles acclaimed to him, would have made it into the historical record. It didn’t because once the evidence is weighed, there are very high odds that the figure known as Jesus, did not even exist. The reality is, Jesus was the Solar Deity of the Gnostic Christian sect, and like all other Pagan gods, he was a mythical figure. It was the political establishment that sought to historise the Jesus figure for social control. By 325 A.D. in Rome, emperor Constantine convened the Council of Nicea. It was during this meeting that the politically motivated Christian Doctrines were established and thus began a long history of Christian bloodshed and spiritual fraud. And for the next 1,600 years, the Vatican maintained a political stranglehold on all of Europe, leading to such joyous periods as the Dark Ages, along with enlightening events such as the Crusades, and the Inquisition. Christianity, along with all other theistic belief systems, is the fraud of the age. It serves to detach the species from the natural world, and likewise, each other. It supports blind submission to authority. It reduces human responsibility to the effect that “God” controls everything, and in turn awful crimes can be justified in the name of Divine Pursuit. And most importantly, it empowers those who know the truth but use the myth to manipulate and control societies. The religious myth is the most powerful device ever created, and serves as the psychological soil upon which other myths can flourish……. 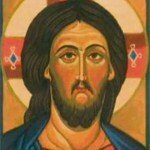 Posted in ReligionTagged Jesus, ChristiancommentLeave a Comment on The Bible is a Plagiarised Work of Fiction – Jesus Didn’t Exist!